Pradaxa (dabigatran etexilate mesylate) is an anticoagulant. It treats patients with atrial fibrillation (AF) by keeping blood from clotting. The FDA is investigating reports in patients treated with Pradaxa® with uncontrollable bleeding. 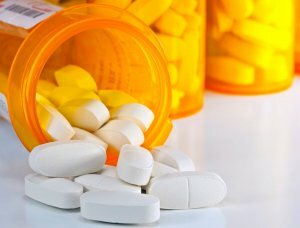 In December 2011, the FDA made a Safety Announcement, “At this time, FDA continues to believe that Pradaxa® provides an important health benefit when used as directed.” However, there are still public health officials concerned about the rise in Pradaxa®-related internal bleeding and deaths. There is no reversal agent for it. There are no drugs today which can stop internal bleeding. This causes hemorrhaging until coma, organ damage, and/or death occur. In fact, are several reports of deaths due to Pradaxa® treatment. For example, an elderly Utah man who had a minor fall in February 2012. Doctors found his brain bleeding uncontrollably. The man’s treatment of Pradaxa® made efforts to stop the bleeding ineffective, resulting in his death. We represent people harmed by medications and can help you and your family pursue damages. Contact The Law Offices of L. Clayton Burgess Today!